The need for an easy video editing software solution has become steadily more relevant in recent years as the major video editing software companies have battled each other in a game of one-upmanship. The end result has been that the average consumer level video editing software has become incredibly feature rich but in the process, has become quite complicated as well. You can’t keep adding features without having to add access to those features through the user interface and this inevitably results in complexity. They all carry the claim of being “easy video editing software” or “simple video editors” when being described by their respective marketing departments but the truth is, they have become progressively more difficult to use. I have been asked on a number of forums and through this site to recommend some truly simple video editing programs or an easy video editor that anyone can use. Something that has all the basic features that a user would need without the shiny “bells and whistles” and complicated interface that comes with it. I have listed what I think to be the best of this class below but keep in mind that just because they are classified as simple video editing software programs they are not crippled in any way. They offer all of the basic features you will need to create your own videos with ease. If you are just a beginner or really don’t see yourself spending hours alone in a darkened room editing your footage, or you just want to get your video masterpieces out as soon as possible with a minimum of fuss then you would be well served by the ones listed below. They all cover the basic actions of cutting, slicing and dicing with transitions, audio control and a wide range of output formats. *My standard disclaimer applies: Please, use the trials first to see how you like it and how it likes you and your computer setup before committing to a long term relationship! 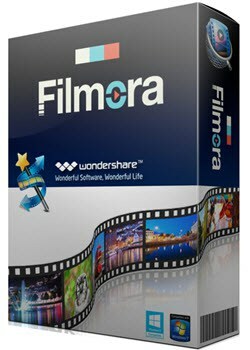 Wondershare Filmora is a recent re-branding of the company’s simple video editing software which comes in versions for both PC and Mac. Previously it was just called Wondershare Video Editor and although not really an inspired naming you have to admire the efficiency of it! In terms of ease of use and simplicity without sacrificing functionality I think you would be hard pressed to go past this one. The guys at Wondershare have been bugging me to take a look at it for a while now and unfortunately I have always put it in the “to do later” file and never got around to it until recently. To put it bluntly, this little editor is awesome! It’s so… well… easy! It downloads and installs very quickly and I was up and running within minutes. Everything is available through an icon that sits in the little menu bar smack dab in the middle of your screen. Take a look at this intro video they created using the software itself to get an idea of what you can do with it and how easy it is. The key to how they made it so good is in the time Wondershare put into the back end of the software rather than the interface. “Intuitive” is a word that is often bandied about in the software world but what it really means is that within Filmora they have thought about every details of what the average person will be doing with the software and have anticipated those needs. If you want to add files to your library Filmora just asks whether it’s from your computer or another device… not which device, not which version of the device, not what kind of file. The same goes for every step of the editing process and even then the software has a wizard based semi-automatic interface that you can use to make it even more simple. On the Wondershare website there are 5 videos you can watch and really, if you just watch those you will have already seen just about everything you need to see to get up and running. Filmora handles all the basic editing functions as far as cutting, chopping, slicing and dicing goes. There is a range of filters for color correction and effects as well as simple yet effective audio controls. It can deliver picture-in picture effects and even some still and motion graphics and on top of that can do green screen and capture still images from any frame in your video. As far as sharing goes it comes with perfectly configured pre-set parameters for output to a wide range of mobile devices, online services like YouTube and FaceBook as well as burning DVDs. All in all Wondershare Filmora is my new best friend when it comes to an easy video editing software program anyone can use. You can read my complete Wondershare Filmora review here or click the link below to check it out on their site. If you are looking for easy video editing software in the strictest sense of the word “easy,” then it doesn’t get much better than totally automatic! And that is just what this one does. Hard to believe I know but the fact is that muvee can achieve some pretty remarkable results given that the process is almost completely automated. By using some very specialized scanning technology it can quite accurately identify various components of your videos and stills and at the same time analyze the speed of your chosen music. In the end it slaps the whole thing together based on its calculations and voila! Movie magic! Well ok, maybe not Hollywood magic but pretty darn good! Although it may sound a little too good to be true there is a very large community of Muvee users who absolutely swear by the product. Outside of the automated features it still offers a good set of manual editing tools that you can use to make final adjustments. PowerDirector is my top choice at the moment for a fully fledged consumer level editing program and you can read the full review here. From an “easy editor” viewpoint the CyberLink product contains within it a wizard based simple mode which the user can choose to enter either each time the software opens or as the default opening module. Most of the “full” editors around today have a similar feature but for some, the implementation works more as an ill conceived afterthought rather than as a genuine choice for the user. Of the available choices I would easily rate the CyberLink offering as superior to the rest and part of the reason for this may be that the simple mode was developed as a stand alone concept instead of a hack of an existing program. Of course any time you want to get out of that simple mode you can instantly switch over to the full editor. This one is worth taking a look at if you suspect you may at some point get bitten by the editing bug and may want to take your productions up a notch. You can click here take a look at my full review of the program. Roxio Creator, Nero Multimedia Suite, and Cyberlink Media Suite. 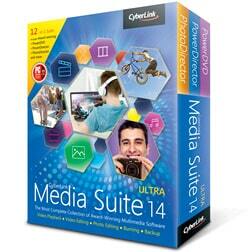 All of these are multimedia packages rather than just easy to use video editing software. They are all good products and if you have a use for ALL the features offered by these full program suites then yes, they are great and have good, easy to use video editing capabilities. They all offer an image organization feature plus reasonably good image manipulation capabilities, audio editing, video editing and disc creation along with some kind of file distribution feature such as uploading to YouTube etc. My only reservation with all of them is that most likely a dedicated video editor will have these features anyway while offering the full editing experience. My pick of the bunch would be the Cyberlink offering because of a superior editing feature set, image manipulation and audio control. There are literally hundreds of video editing software programs out there and many that claim ease of use as their selling point. You can spend the next year checking them out and still be no closer to a decision. What I do know is that the software on this page is reliable, fits the criteria of easy or simple and will work very well for the majority of people. A number of people have been asking me this question for a while now so I thought I would add it as a footnote to this page. If you try to search online or especially on YouTube the most common answers to this question all refer to the absolute high end, professional video editing programs. So, first of all let me be clear here, that concept is absolute rubbish! Answers like that are either ego driven nonsense or an effort to get you to spend way more money than you actually need to. All videos on YouTube roughly break down into about 7 different types. Informational or educational videos including “How to’s,” demonstrations, explainer videos, tutorials and Q&A sessions on various subjects. Vlogging which covers unboxing videos (sometimes overlapping into reviews) as well as lifestyle and opinion based video. Musical performance videos of both established artists, new artists and newbies doing their own thing. Original Content covering memes, comedy and skit videos as well as the occasional serious subject such as opinion pieces and amateur “news” type videos. I think that just about covers it and if you can think of anything else you will probably find it can fit into one of those categories. The ONLY type of video listed above that would require any sort of advanced video editing software would be professional music videos. The reason for that is that those videos are most likely shot in a broadcast quality format and were not specifically created for YouTube. Every other type of video above can be created perfectly well in an entry level video editor like Filmora as listed at the top of this page. Previous Post: « The Friday Roundup – Pinnacle Studio Goes to Version 21.5 and other stuff! Just wanted to thank you for the Filmora suggestion. For any MovieMaker users out there (looks like a bunch from the other questions), I have found the interface very similar and easy to use. My first time using it, I ripped sections out of 4 different media files, lightly edited, and had a useable video in less than 30 minutes. I had tried many other options, and all of them had been a struggle to use. Davinchi was the best of those. I did not try any of your other suggestions as Filmora did exactly what I needed. Glad to hear you liked it and thanks for letting me know! Also just downloaded Pinnacle and Corel Video Studio to try – wow, whopping file sizes, both of those are over 1GB. I think I’ve used all of these over the years, never terribly satisfied with any of them. Guess I will upgrade CyberLink Power Director. It’s the closest to the way I like to work. Unfortunately most of the current consumer level video editing packages are rather weak as far as audio goes. This applies to both the features and control on offer as well as just the simple convenience of being able to SEE IT! For most people what they provide seems to be enough although as you have probably seen by your testing Pinnacle and VideoStudio are slightly better. This year CyberLink released PowerDirector 17 and with the new audio module built-in, they have completely leapt to the front of the pack. Here is my problem. I use a camcorder to record my pastors sermons. The audio of his voice is muddled and hard to understand, So I’ve been recording his voice on a digital audio recorder hooked to our sound board. This audio is very understandable. I’ve been using Microsoft Movie Maker, but lost it when my computer died. I cannot download it anymore and it was not that good at syncing the separate audio track to the video track. I need a simple editor that can add in a new audio voice track and sync it to the video. From what you describe easily the best one for you is Filmora. Simple like Movie Maker plus a few added features you may eventually use. As far as the audio goes remember to keep recording the audio in the digital recorder AND the camcorder. That way both files on the timeline of the editor will have a wave pattern showing the audio. You can then use that wave pattern to line up the two files and get you audio and video in sync. Hi Lance, thanks for an informative article. I’m currently editing my YouTube videos on a 5year old laptop and Movie Maker. My problem is it crashes a lot and I have to exit and start over. I would like something with more features than Movie Maker and am also in the market for a new computer. Filmora or Power Director seems like it would fit my needs, but my question is what should I be looking for in a computer to handle all the video editing. Processor, graphics card, RAM, etc. Thanks again. Intel Core™ i-series or AMD Phenom® II processors or above. Personally I would recommend an i5 as the absolute minimum especailly if you are dealing with HD footage. Both state a minimum of 2 or 3 gig of RAM which is just delusional! First up get a 64bit operating system as a non-negotiable then get as much RAM as you can afford. I have read your reviews and am leaning to the Power Director 16 or the Muvee Reveal Finale. I will try both but I have 70 years of movies that have been converted from Legacy Box and now sit on my computer. My biggest issues has been finding a way just to shorten what may be 6 hours of Christmas day with the kids down to a 15 minute video that is fun to watch. Also, all of the old movies from my parents and hopefully enhancing the video quality. I am 63 years old and just starting out on this journey with little tech knowledge. I am looking for the easiest program that I can sit down for 20 minutes and not have to re-learn what to do. OK, so I have taken a look at the Legacy Box service so my question is what format did you choose for those movies to be converted to? Secondly as far as “enhancing the video quality” goes you pretty much already have the video quality you are going to get from the conversion process so your job at this point is to maintain quality. Finally, I think your choices are a little off for what you want to do. 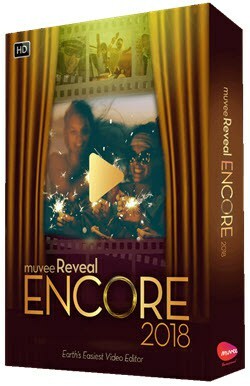 muvee Reveal Finale is kind of designed for a straight upload from a camera and an semi-automatic construction of what you have into what you can watch. The sheer amount of footage you have would make that process rather inefficient. On the other hand PowerDirector whilst being able to do what you want is going a little over the top there! My choice would be Filmora because it has the tools you will need but n the other hand is quite easy to learn. It also has the added advantage of a dedicated Video Cutter so that instead of loading clips endlessly into the main editor to edit out the bit you don’t need it allows you to just load each clip, cut it and output to a new one that you can use for editing. Finally, given the amount of material you are dealing with the key to ALL of this is going to be that you get yourself organized… seriously! I was going in the wrong direction completely. Legacy Box put everything on a flash drive that I then downloaded to my PC. They also sent it in DVD form. Getting organized is the challenge but once I get the hang of an editing program that should become easier. I will try the free trial for Filmora to see if I can get the hang of this. Again, any suggestions would be appreciated. This is really a big help. Hehe! So Pat the process you are describing is pretty much the same in every video editor! Generally you will have three areas visible when you are editing. The library, the preview window and the timeline. You can click on a clip in the library, preview it in the preview window and in most, trim it and then finally drag it down on to the timeline as part of the project you are working on. Anyway, there are some basic videos available on the Filmora site that deal with all of this and believe me, after repeating those basic actions about a hundred times… you WILL remember! I currently own a new MacBookAir which brings IMovie, I have played around with it and edited a video but have had issues following along and remembering(most importantly) all the steps needed to edit the video. Maybe it’s genuinely simple, but all the videos and instructions I have read don’t make it seem as simple. I am just looking for a program that will help me to better my videos in every way. It kind of doesn’t matter what you use to begin with because video editing always has a learning curve at the beginning. Perhaps you could download the free trial of Filmora for Mac, go through the tutorials and then see if you like that one better. Thank you for all the information! Yet, I am still unsure which software package to purchase. I have 12 family VHS tapes that were converted to 12 DVD’s, and now converted into 12 MPG files(extension does not say MPEG)to view on my Windows laptop. Not sure if this matters for the software purchase…My Windows 8.1 will not play them as did my Windows 7. My goal is to grab the best scenes from the 12 MPG files and condense them down to just one 60 minute movie. My biggest concern is working with 12 files which are 2 hours each in length. After reading the reviews it seems like Filmora is appropriate as I just want to delete the boring parts, and insert transitions between scenes. Yet Womblempeg Video Wizard sounded like it is best suited for MPEG files – again I don’t know if my MPG files qualify as MPEG. Price is not an issue, I just want to condense 24 hours of video without wishing I had purchased something different, and to have fun in the process. I do not mind spending more money for features I don’t need if it makes handling 24 hours of video painless, and faster. Which of “all” the software listed do you suggest for this specific project? OK, so I am going to go through this item by item to see if we can get some clarity! -I have 12 family VHS tapes that were converted to 12 DVD’s, and now converted into 12 MPG files(extension does not say MPEG) to view on my Windows laptop. Not sure if this matters for the software purchase… My Windows 8.1 will not play them as did my Windows 7. The file extension .mpg indicates they are MPEG files, the mpeg file extension hasn’t been used for a long time. They are most likely MPEG2 files which is the standard file type used for DVD files or files that are being prepared to be put on a DVD. As far as 8.1 not playing them goes, who knows, it’s a Windows thing so let’s not dwell! -My goal is to grab the best scenes from the 12 MPG files and condense them down to just one 60 minute movie. OK so here we need to clarify a major misconception about DVDs. The capacity of a DVD blank that you buy to use for burning at home is always 4.7 Gb. Very often they also show some kind of reference to being able to add 1 hour of video to that disc. This is not strictly true. The truth is that the disc’s capacity is determined by the amount of data and NOT the running time of the videos you want to put on them. So figure that on a standard DVD you will get approximately one hour of playing time depending on how high a quality setting you choose. If you raise the quality to above average then you lose playing time, if you drop it below average to gain playing time. So if you want you can get 10 hours on the disc but the quality would be so low you probably couldn’t work out what it was anyway! -My biggest concern is working with 12 files which are 2 hours each in length. This concern is valid however it has nothing to do with whatever software you use. The real question is whether your computer can handle that amount of data. To make this easier on your computer you should load all the footage into one folder but only ever work on one file at a time. Make the cuts and changes you want to that file then export it to a new completed file. Place it somewhere you can remember and then start on the next one. Once you have all the new cut versions completed then you can load all those smaller files into the editor and have the computer create one final completed file that you can use to make the final DVD. Remember, that final file HAS to be slightly less than 4.7 Gb. -After reading the reviews it seems like Filmora is appropriate as I just want to delete the boring parts, and insert transitions between scenes. -Yet Womblempeg Video Wizard sounded like it is best suited for MPEG files – again I don’t know if my MPG files qualify as MPEG. My fault entirely and I should have fixed those Womble pages ages ago! Doh! I included Womble many, many years ago when editing MPEG files was a new concept and at that time Womble was king of the mountain. Since that time the world has changed and now Womble is like a 50 year old guy trying to pick up 20 something’s at a night club… just a little sad. -Price is not an issue, I just want to condense 24 hours of video without wishing I had purchased something different, and to have fun in the process. I do not mind spending more money for features I don’t need if it makes handling 24 hours of video painless, and faster. Which of “all” the software listed do you suggest for this specific project? Totally understood but paying money for something you don’t need is pointless. Flimora will do everything you need. Again, thank you for the information provided. I now have solid direction and will make my Filmora purchase. Just remember that if you hit any problems along the way you can just come back here and post it. I will try to help as best I can. Good morning…I have a simple need as a Private Detective who documents WorkComp fraud. I video the subject’s activities and then upload such into a video editor. We do NOT record voice, music or sounds of any kind as the end result often goes to court. Is there such a thing as a SIMPLE video editor that allows 1) video capture from our digital cameras, 2) editing capability that allows us to delete unimportant frames (Ex. I’m shooting and a UPS truck enters, blocking our shot or we take video of other people not subject matter). I pull the frame down onto a track or story board, deleting from either end of all the frames. 3) movie maker then makes the final video movie. Nothing fancy, just documentary video. Yes, long story short Filmora, the link is in the right hand menu of this site under Software reviews. It is the simplest and most intuitive on the market. Basically it is a module that bypasses the whole “editor” part and just allows you to load a video, cut out the bits you don’t want then automatically output a new edited file to the exact parameters of the input file. Right up your alley! I will go with the Filmora. I’m glad that there is software designed with the casual and in my case, older consumer in mind. Less CAN be more. There are so many comments and I just can’t read them all. I need an simple advice. I started shooting short videos in 4k (I use Lumix G7) and I want to trim and combine them together and make a max 2min videos. So, I don’t need nothing fancy, just to add some music, transition effects etc. I saw your list but my main concern is if I could edit videos on my pretty low laptop configuration. Can you help me with this? Thank you. If your computer is underpowered then handling video at 4K may be a problem. I understand you needs are not complicated so I would suggest using Filmora. It can handle 4K (as long as you computer can) and can do everything you will need. Use the free trial first to see how it goes.